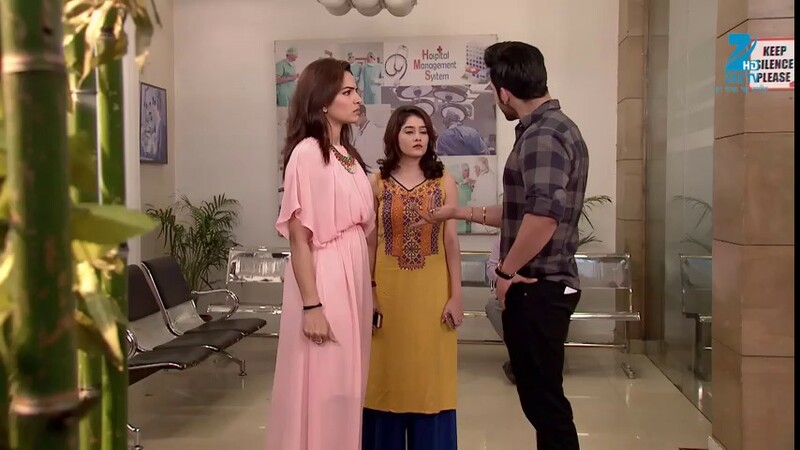 Kumkum Bhagya 29th August 2016 Episode: Aaliya decided to take revenge from Sarla ? He even told them that the family was his fan. He told her everything that happened there and said that he loved the care and love he got from that family. Everyone looked on. They asked the name of family members. Abhi stated that he forgot to ask the names. He then went to sleep. Dasi told dadi that she thought that he went to Sarla’s house, but dadi denied and said that it was impossible. Abhi felt that he had some connection with that family and also that he was getting attracted to the girl. He thought to stay away from that girl as he was a rock star. He then thought how he got to know about the directions of everything in that house. He thought about Aaliya and started thinking of giving her the excuse for not coming to meet her at the pub. Aaliya came home and was tensed and went directly to Abhi’s room. Dadi thought that Aaliya was having something in her mind. Dadi even believed to keep a good cook for Abhi who would make his favourite dishes. Aaliya asked Abhi where he was. Abhi said that he was there only. She said that she was angry with him as she called him many times and that he was supposed to be in the party, but he did not come. He apologized her and said that he forgot. She said that all her friends were waiting to meet him. He stated that he went to a meeting. He then asked her to make a video of him that would have a message of apology for all her friends. He even asked her to call her friend home. Aaliya recorded the video and thought to get information from Abhi’s phone to find out if Pragya was in contact with him or not. She got nothing on his phone. She asked if he went to meet someone special. Abhi denied and said that he just met his fan and a family. Aaliya took some random names and also Pragya’s name. Abhi said yes he went to meet her family only. Aaliya was shocked. But Abhi denied and said her name was Nitika. Aaliya felt relieved. Pragya took off from office as her leg was swollen and was paining. Abhi came to office and got to know that Nitika did not come. He asked the other lady to get coffee for him as he could not work without it. The lady said she got a lot of work burden as Pragya took off. Aaliya went to Sarla house to find out where Pragya was working. They did not tell her and asked her to leave.